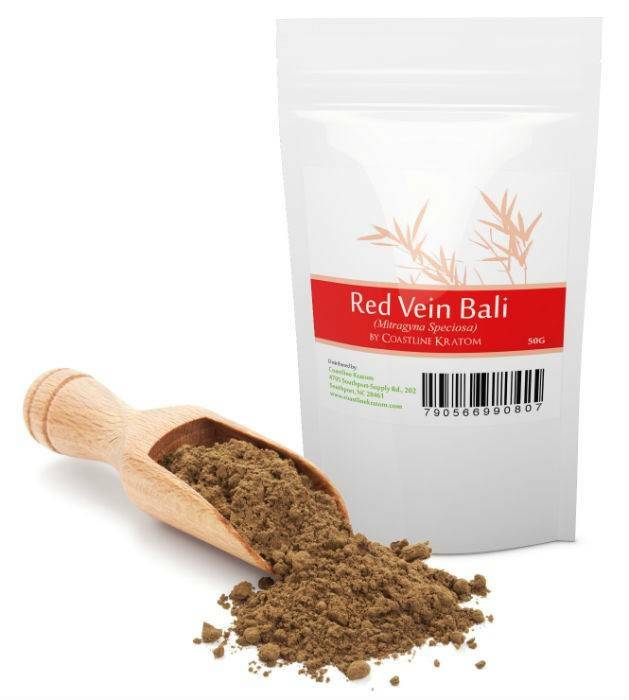 Red Vein Bali kratom is probably the most common strain of choice, even among enthusiasts. It’s widely used for its analgesic effects and stress-relieving properties. Additionally, it helps with insomnia, anxiety, and opioid addiction. It is more affordable than other strains of kratom because it grows relatively quickly and comes in greater quantities. Which Alkaloids Are Present in Red Vein Bali Kratom? Red Vein Bali Kratom prevents overthinking or mind-wandering, which are usually caused by chronic stress. It can also induce sleep without knocking you out, like in the case of sleep medications such as Lunesta or Ambien. Red Vein Bali Kratom is often used for pain management. Although other types of Kratom can also do the job, this specific variety provides a stronger effect. Using red Vein Bali kratom long-term, at the right dosage, can provide some much needed relief from chronic pain. This is mainly due to the plant’s high alkaloid content. Those who have a hard time sleeping or are suffering from insomnia may soon start sleeping better upon taking red Vein Bali. Likewise, this strain can help them sleep more soundly by reducing the impact of stress. Red Vein Bali is comparatively milder than other kratom leaves when you take it in lower doses. It can give you a boost of energy, stimulate your cognitive abilities, and help you focus on your tasks better. Alternatively, higher doses can relax tense muscles. This sedative effect is generally used as a pain reliever and a mood booster, especially for those who may be suffering from depression. Opiates are addictive substances that target our sympathetic nervous system. For those who would like to turn over a new leaf, the red Vein Bali can be used as a self-treatment for getting off the opiate high. The strain can act as a receptor agonist, triggering receptors in your body to create a biological response. This makes it easier to manage the withdrawal symptoms from common opiates such as heroine. There are 40 kratom alkaloids present in the red Vein Bali strain. However, as you’d expect, these naturally occurring organic compounds are not in equal amounts. The most abundant alkaloids in red Vein Bali are 7-hydroxymitragynine, mitragynine, mitraphylline, speciogynine, and 9-hydroxycorynantheidine. All of these influence the strain’s capacity to provide certain perks. Among the alkaloids though, 7-hydroxymitragynine is arguably the most important. It is, after all, mainly responsible for red Bali’s analgesic effects, and is 17 times more potent than morphine. Mitragynine, on the other hand, is associated with energy and stimulation. Although still at higher levels than most other alkaloids, mitragynine in red Vein Bali is still less than that of other kratom strains. This explains why red Vein Bali doesn’t really work as a pick-me-up. White vein varieties, which are loaded with mitragynine, are even considered an excellent alternative to coffee. It’s worth noting that different people will have varying degrees of tolerance for any new substance. Pay attention to how your body responds to kratom to ensure that you’re taking the correct dosage for your goals. Used the right way, red Vein Bali kratom can be really beneficial. However, you have to be careful because, again, it is dose-sensitive—an excessively high dose may produce bad effects such as headaches, nausea, and wobbling. Red kratom strains, no matter where they are from, are the most euphoria-inducing among all the herb’s varieties. The name actually comes from the bright red veins on its leaves—hence it is also commonly called red vein Kratom or red Bali Kratom. Some say that red Vein Bali kratom originated as a cross or hybrid between the red vein Sumatra kratom and the red vein Borneo kratom. Others claim that it’s only grown in the Indonesian island of Bali. There are also those who think that this strain got its name because it was mostly distributed in the port of Bali. Well, no matter where it’s really from, it remains a good choice for anyone looking for a way out of pain. The red Vein Bali is a go-to strain for euphoric purposes. It’s the most recommended strain for beginners or for those who are looking for mild euphoric sensations. Changing doses gradually is enough to give you a taste of its different benefits. It’s worth considering, however, that most of those satisfied with the strain use it for pain relief and sedative properties. Kratom products typically come in two forms: kratom capsules and kratom powder. They are both made from crushed kratom leaves so the effects will not be any different. If you are interested in trying out the red Bali, Coastline Kratom sells it in powder form—in various styles and blends. They have various packs ranging from 100 grams to 5 kg. The standard blend uses both leaves and stems, whereas the premium blend sifts out the stems (these aren’t as rich in alkaloids). If you have questions in mind, they have a customer service section on their page to assist you. Overall, taking red Vein Bali kratom can be an effective way of relieving physical, emotional, and mental pains. And in most cases, it only takes 5 to 10 minutes to experience these effects.